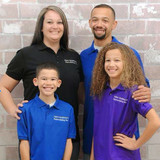 R&W Building & Remodeling Inc. 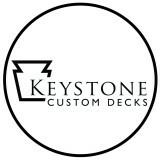 Custom Deck Builders, LLC, is a deck building company and home improvements company based in Glenville, Pennsylvania. As one of the finest deck contractors, we strive to deliver beautiful outdoor decks and quality home improvements. We are fully licensed and insured to work in Maryland and Pennsylvania, serving the Baltimore, MD and Southern, PA areas including York County, PA. Our company prides itself on providing quality craftsmanship, excellent customer service, and building a personal relationship with our clients that continues even after your project is completed. Our company will work closely with you through every step of the design and construction process in order to create a customized outdoor living space that suits your needs. With our attention to detail, you can be assured that your project will be completed above and beyond your expectations. Renaissance Conservatories is widely recognized as America's leading innovator in the conservatory industry, and is renowned for creating some of the world's most uniquely detailed, thoughtfully appointed, and finely crafted mahogany and glass conservatories for America's finest homes. Renaissance is also among America's most experienced traditional conservatory manufacturers and conservatory installers, with hundreds of satisfied homeowners throughout North America and beyond. While we are perhaps best-known for being a premium conservatory manufacturer, we also participate on projects by providing elegant glass roofs, dramatic glass roof lanterns, sensational skylights, glass domes, and our one-of-a-kind custom wood framed garden windows. To say that Renaissance is more than a conservatory company is truly an understatement. However you envision your Perfect Conservatory, Renaissance has the expertise to make it yours to enjoy. Discover the Conservatory Lifestyle! 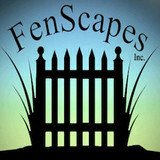 Landscape Contracting firm specializing in the design and construction of outdoor living spaces in Central Maryland. At Outdoor Additions, we dare to think differently. Because everybody is different, and because even your own outdoor enhancement tastes may evolve over time. The same space that may have once been good for the kids to play catch in when they were younger could now prove even better as a pool with paver installation. Our dedicated team does its best to make each project’s results resemble the concepts our customers come up with as closely as possible – and even exceed their imaginations. We’re always striving to stay up-to-date with landscape and construction design trends, new products, current specs and standards, and to raise the bar with our ever-improving skill certifications. LANCASTER COUNTY BARNS is located in the serene hills and valleys of Lancaster, Pennsylvania the home of the Amish Craftsmen who build quality wood-built products such as we carry. Our Storage Sheds, Horse Barns, Gazebos, Playhouses, Hunting Cabins, and Lawn Furniture are crafted from the finest materials available. All items are hand-built to your needs and satisfaction. We are committed to excellent quality and customer service. What services do deck and patio builders in New Market, PA provide? To help you choose the ideal style, configuration and materials for your deck or patio, your deck and patio contractor will survey your New Market, PA lot and your home to come up with a design that complements your exterior as well as being structurally sound. He or she will recommend sizes, heights and construction materials that suit your lifestyle and climate, as well as explain the best stain or finish options. Additionally, deck and patio professionals can provide insight into additional components such as outdoor kitchens, patio covers, fire pits, outdoor lighting, arbors and more. Your deck and patio professional might work closely with another New Market, PA lawn and landscape professional. Here are some related professionals and vendors to complement the work of decks, patios & outdoor enclosures: Landscape Architects & Landscape Designers, Garden & Landscape Supplies, Stone, Pavers & Concrete, Landscape Contractors, Building Supplies. 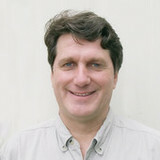 Find a deck and patio builder in New Market, PA on Houzz.